Microsoft Teams is the chat-based work-space in Office 365. 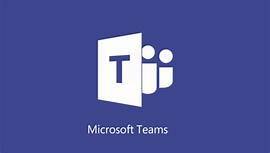 Microsoft Teams is an experience that brings together people, conversations and content, along with the tools that teams need, so they can easily collaborate to achieve more. It’s naturally integrated with the familiar Office applications and is built from the ground up on the Office 365 global, secure cloud. The overall goal of Teams is to create a more open, digital environment that makes work visible, integrated and accessible across the team, keeping everyone in the know. Word, Excel, PowerPoint, SharePoint, OneNote, Planner, Power BI and Delve are all built into Microsoft Teams, so all Microsoft information and tools is at your fingertips. You can move naturally from one collaboration tool to another, preserve yourr sense of context and share with others. Backed by the Microsoft Graph, intelligent services are surfaced throughout the work-space to help with information relevancy, discovery and sharing. By managing all your conversations, files, and tools in one team work-space, you can easily keep the team in the loop with email integration. Teams allows you to customize your work-space, with rich extensible and open APIs available at general availability. You can also share the same Connector model as Exchange, providing notifications and updates from third-party services like Twitter or GitHub. There is also full support for the Microsoft Bot Framework to bring intelligent first- and third-party services into your team environment. Microsoft Teams provides the advanced security and compliance capabilities as well. Microsoft Teams encrypts data at all times, at-rest and in-transit, and includes multi-factor authentication to enhance identity protection. Teams is served out of Microsoft’s hyper-scale global network of data centers, automatically provisioned within Office 365 and managed centrally, just as any other Office 365 service. 2W Tech is a Certified Microsoft Partner that specializes in Office solutions. Give us a call today to learn how to get started with Microsoft Teams.